Our Charity One Day Ride will be held on 5th May 2019 this year. In the past, our ride has been on the third Sunday in March to coincide with the Central Victorian Suicide Prevention Awareness Network walk. They have decided to shift the date as it had been quite hot for the last few years. This had impacted on walkers and the event with people standing in the hot sun while speakers put their message across. The move to early May should see much better weather for the event. At this stage we are planning on running rides in Bendigo, Melbourne and Shepparton again. There are a couple of others still in the wind and we hope they might come to fruitiion prior to the date. The charity is still being worked out, but rest assured all money raised will go to a front line purpose and not to anyone's administration. Ride4Life is fully staffed by volunteers and 100% of all monies raised, (nett of direct costs), go to the selected charity on the day. Share the video on your Facebook page and Twitter feeds. This will be a great help in getting the word out. ONLINE REGISTRATIONS ARE NOW OPEN. THERE WILL BE NO ON THE DAY REGISTRATIONS DUE TO ACCOMMODATION AND CATERING REQUIREMENTS. READ ON AND THEN GO TO THE RIDE PAGE FOR MORE INFORMATION. 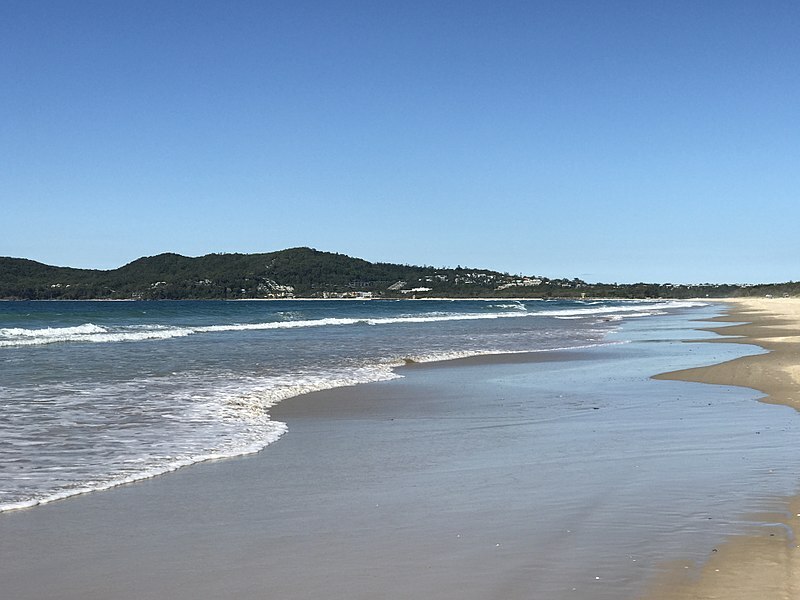 Ride4Life will be running their charity Long ride this year to Noosa. This has the effect of combining riders and public raising awareness of Mental Health issues and suicide prevention and starting conversations to stop the Stigma. Ride4Life ran three rides in March with all proceeds going to Lifeline. We had new rides starting in Melbourne and Shepparton as well as our long standing commitment to the Central Victorian Suicide Prevention Awareness Network. Several of our members rode with these new rides to help newcomers that depleted our usually strong Bendigo ride. No doubt it will all be worth it in years to come as all the rides grow and new ones are established. If you are interested in running a ride in your neck of the woods, then send the committee an email. Alannah McGregor is one of the most amazing women I have ever met. Many of our members will know her as the chair of the Suicide Prevention Awareness Network (SPAN) Central Victoria. An active campaigner raising awareness of suicide, not only with SPAN, but as an heartfelt speaker at many other groups as well. It is unfortunate that tragedy, although bringing great heartbreak, can also lead us on a journey that we never thought possible. A journey that becomes a life calling. Alannah is no stranger to tragedy and as a result, she has enormous insight into the effect of suicide on families. Ride4Life will be running a Mental Health First Aid Course on the 14th and 15th April 2018. The course will not involve any tuition costs for members. They will only pay direct expenses like the manual and their share of catering and room hire. We tried to get this course up and running last year but the dates didn't suit some people for a number of reasons. To try and get around this so that members who are available can come to the course, it has been opened up to the public as well. Members of the public who wish to do the course though will pay a tuition fee. If you are a member of the public seeing this as an opportunity to get a very cheap course by joining Ride4Life, we must advise that joining just to get the discount won't work. Any membership applications received in conjunction with a course registration will be thoroughly vetted. A good indication you are serious is if you hold a motorcycle licence. Welcome to 2018! I hope you all have a very prosperous year. I would like to recap over 2017. What a year! We have seen the birth of the Ride4life Inc and since that time the Committee has worked hard to ensure things happen. In March 2017 the Inaugural Bendigo Day ride in conjunction with SPAN saw over 100 bikes involved. We saw $5000 plus raised for Life Line Bendigo which went to the training of more telephone volunteers. A society shows its maturity when it starts addressing things like mental heatlh awareness, child abuse and family violence. The links between many issues people may experience in their life and mental health problems is well known. PTSD (Post Traumatic Stress Disorder) is one such problem that can rear its ugly head as a result of ongoing family violence. Many of our members are trained in mental health first aid. It was great to see one such member, Kerrie Belmore, put her skills to use in identifying unusual behaviour causing her to ask if the person was OK. Over time, trust was gained and it turned out the particular person had been a victim of family violence and was suffering from PTSD. Not only that, but her children had also been diagnosed with the problem as well. Ride4Life will soon be into its second year of operation. We are planning bigger and better things in bringing awareness to the public of mental health issues and suicide prevention. We also intend to support the charities and organisations that have a very direct role in these fields also. Last year our very first Charity Day Ride in Bendigo was an overwhelming success for us. With all our registrations and donations we raised over $5,000 that went to Lifeline in Central Victoria. This money was used to train more telephone volunteers. The new year sees two new rides added with Shepparton and Melbourne. We are still talking with others too and the number of rides may well increase before the 18th March 2018. We are also introducing a new standardised poster for all our rides. There will be versions to promote all the rides, but we can also supply blank template posters so that individual towns can list all their details. Several riders from the Ride4Life crew recently completed the Extra Dollop Ride around Victoria. 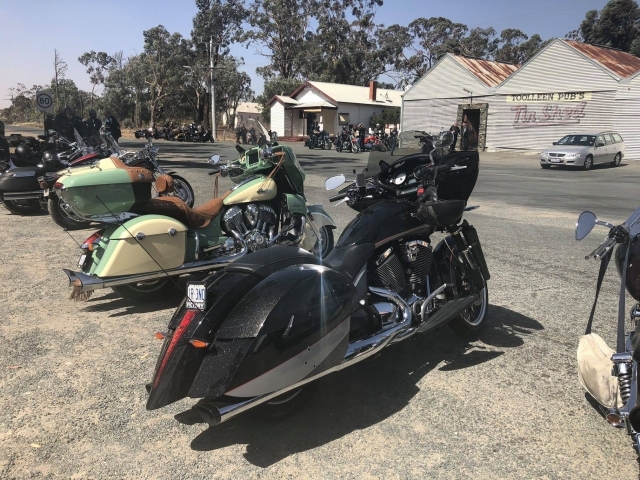 The ride, which was intended to raise awareness of the issues in dairy communities and the resulting possible mental health issues, covered huge areas of Victoria and many dairy communities. The ride started in Shepparton on the 12th November 2017. We had had our Annual General Meeting the day before where all the financials of the organisation were presented and the new committee elected. The first day of the ride travelled through many of the Goulburn Valley dairy areas including Shepparton, Tatura, Stanhope and Kyabram. We then rode on through Echuca before heading east through Barmah and Nathalia. We then rode through Strathmerton and Yarroweyah before stopping for lunch at Cobram. From there we headed through Yarrawonga to Wodonga and then out to Tallangatta for the night. The only mishap was a valve going in the back tyre of one of the bikes, but our intrepid support person Barney got the bike loaded and all was well. This was fixed in the morning in Wodonga while the rest of the crew headed off. Members of Ride4Life in the Bendigo area have long had an association with SPAN, (Suicide Prevention Awareness Network). SPAN have recently branched out an and established a new chapter in Shepparton. They will run a walk there to promote awareness of suicide and impress on people the availability of help. This will be done with an annual walk like in Bendigo plus the other work they do in the area to raise peoples awareness. Ride4Life have been asked to organise a ride in Shepparton similar to the operation that we have in Bendigo. Naturally we are thrilled to both continue our association with SPAN and to also extend our presence through rides to raise awareness of mental health issues and suicide prevention.